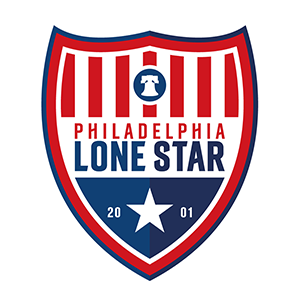 Philadelphia Lone Star U-23s Release 2019 UPSL Schedule | Philadelphia Lone Star F.C. The fixtures for Philadelphia Lone Star FC Under-23s have been released and our Stars kick off their second season in the United Premier Soccer League with a home game against Mass United FC on Saturday, April 13th. Philadelphia Lone Star FC Under-23s will compete in the newly-formed Northeast Pro-Premier Division with seven other teams, namely: Brockton FC United (MA), Krajisnik FC (NY), Lincoln Club Futebol (RI), Mass United FC (MA), New Hampshire Bobcats (NH), New Jersey Teamsters FC (NJ), and Real New York FC (NY). Our U23s will play eight games in the Spring and six games in the Fall for a 14-game regular season schedule. *Note: Fixtures are subject to change and all kick-off times are Eastern Standard Time (EST). Meanwhile, single game tickets and season tickets will be available for purchase tomorrow. For more info about Philadelphia Lone Star FC Under-23s, please visit the team page at https://www.philadelphialonestarfc.com/under-23s.